Being a member of the Princess Ever After family is a dream come true for Beth! Her earliest memories include neighborhood productions where she was often cast as the princess. Those neighborhood shows grew her love for both princesses and musical theatre. Beth enjoys working with her vocal coach, Krisha Sielaff. 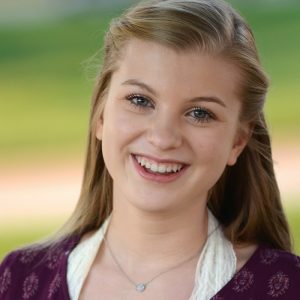 She is currently involved with several theatre companies including Inspire Creative, Front Range Theatre Company and her school company. Beth has been a part of Parker’s Performance Academy as a performer and an assistant teacher. Being the youngest of four siblings has made her the perfect “big” sister to the children she mentors in community theatre. Beth would love nothing more than to make your special event truly magical.